This howto describes getting a TeamCity appliance up and running to the point that a web browser can be used to configure it. Installation of the a TeamCity Build Agent(s) is not covered by this howto. JetBrains recommends the use of a 32bit JDK. I exclusively use 64bit CentOS so using a 64bit JVM is the most straightforward option. JetBrains doesn't support OpenJDK. I have no idea why but I have had good success with TeamCity and the openjdk. I tend to use the supported JDK on Windows build agents. Since the database is only required by local processes, ensure it only listens on the loopback interface in '/etc/my.cnf'. MySQL v5.1 didn't seem to want to run with an IPv6 loopback address. Reload the varnish configuration with this script. # su teamcity -c "tar -xpzf TeamCity-6.5.1.tar.gz -C /srv/teamcity"
Add a configuration file for the init script to point to the team city package. 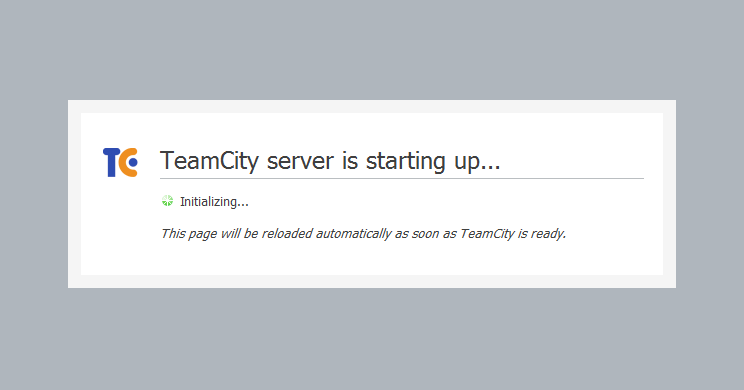 Start the teamcity server. It will start with it's internal database and create the '.BuildServer' directory with configuration files. The web interface should show the starting message. 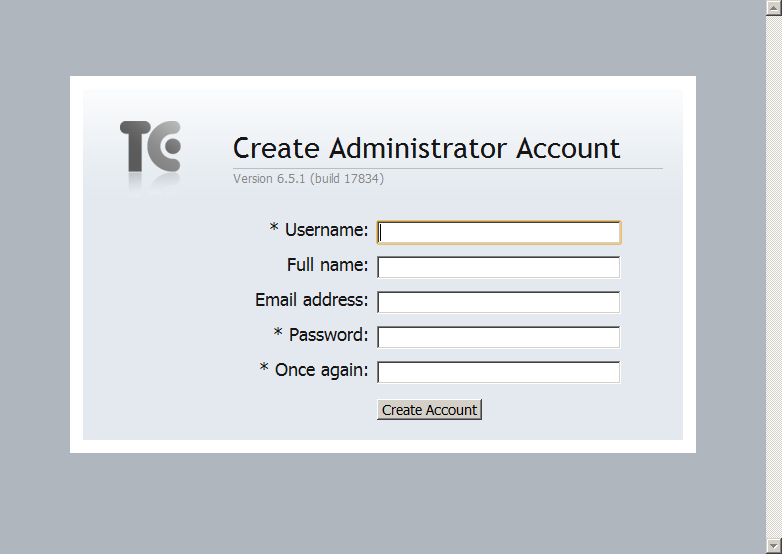 The MySQL Connector driver must be present in the '.BuildServer/lib/jdbc/' directory. It isn't sufficient for this to be installed on the machine. 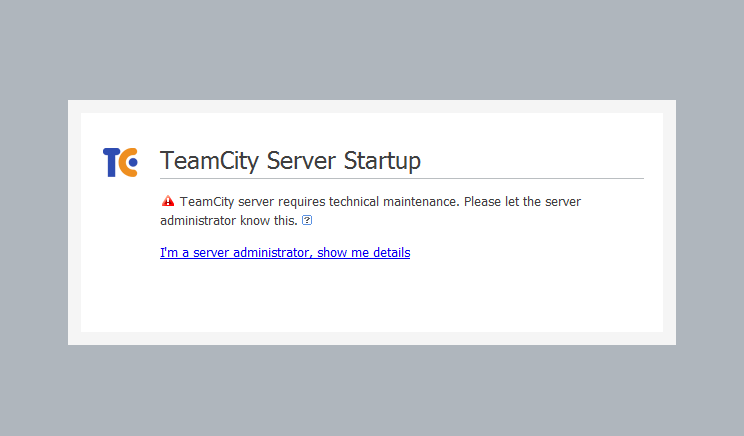 The empty database is detected by the TeamCity server. 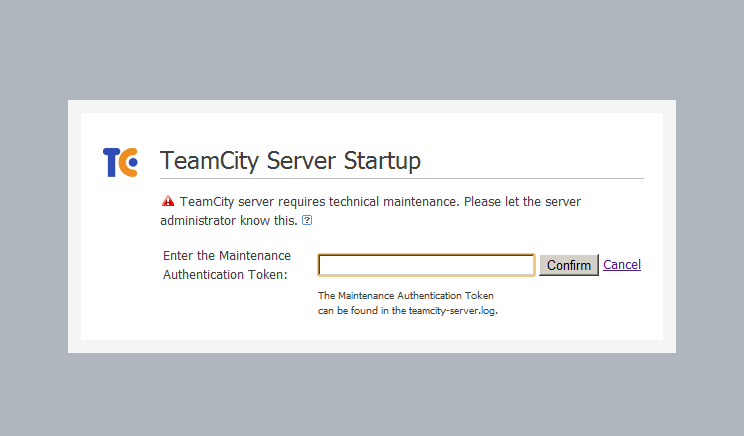 Get the token from the log file '/srv/teamcity/6.5.1/logs/teamcity-server.log'. echo -n $"Starting TeamCity "
daemon --user teamcity "( cd $TEAMCITY_DIR && bin/teamcity-server.sh start )" && success || failure $"$prog start"
echo -n $"Shutting down TeamCity: "
( cd $TEAMCITY_DIR && bin/teamcity-server.sh stop ) && success || failure $"$prog start"